Just a reminder...our Awards Assemblies are tomorrow. 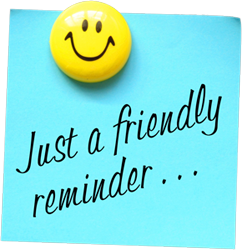 The fourth grade assembly is at 9:15 am; fifth grade is at 10:30 am; and sixth grade is at 1:15 pm. All assemblies are in the gym and guests are welcome to go in through the gym door. All guests will be seated on the bleachers, and students will sit on the floor. Each assembly will be about twenty minutes long. We hope you will join us!! Tomorrow is pickle and popcorn day as well! Dr. Stick and the Young Author's Club will be selling these items during lunch for $1 each. Finally, please remember that we do not have school on Monday in honor and observance of Dr. Martin Luther King, Jr. We hope you enjoy the long weekend and stay warm! !